Stand at attention just like a soldier with your feet together and toes turned out as you push the barbell up and down to do a true military press. This position makes pressing a bar overhead incredibly tough. Nowadays, just about any overhead press — seated or standing with feet planted hip-width — is called a military press. Which version you choose will have an impact on your results. 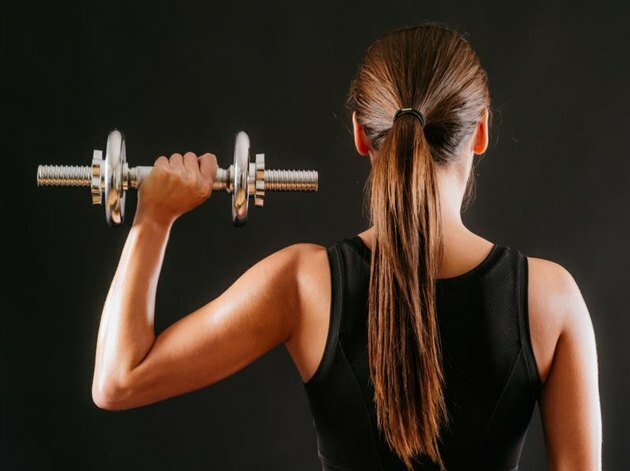 The average person who is working out to just get stronger shoulders and a healthier frame will benefit from using either dumbbells or a barbell for the military press or overhead press. If, however, you're looking to tweak shoulder size and shape, read on to learn which type of weight to choose. Dumbbells make for a less stable military press, meaning your muscles have to work harder just to keep you from losing form. A standing or seated dumbbell press actually activates the fronts of your shoulders — the anterior deltoids — 11 percent to 15 percent more than a standing or seated barbell press, showed a small study published in a 2013 issue of the Journal of Strength and Conditioning Research. Dumbbells are less safe than barbells when you're working with heavy weight. You do a heavy barbell lift inside a power rack; when your muscles fail, you can quickly rerack it. Dumbbells are harder to control and must be hoisted from the floor for you to use for the military press. You could, of course, have a spotter help you — but if you don't have a willing workout partner, it's possible you could drop a weight and injure yourself. A barbell generally allows you to lift more weight as the bar is more stable. With a dumbbell, your shoulders share the weight, so a stronger side can compensate for a weaker one. The 2013 study showed that, when it comes to a one-repetition maximum — the most weight you can lift one time only — the barbell allowed for lifters to heave 7 percent more weight than they could with dumbbells. Barbells also allow you to add weight in increments of 2.5-pound weight plates. This is a more gradual way to increase the challenge on your muscles compared to the standard increase of 5 pounds when you graduate to a heavier dumbbell. Increasing weight to quickly may compromise your progress and limit your results. If you're new to lifting and not ready to hoist a lot of weight overhead, a barbell military press might just be out of your reach. The standard bar alone weighs 45 pounds. 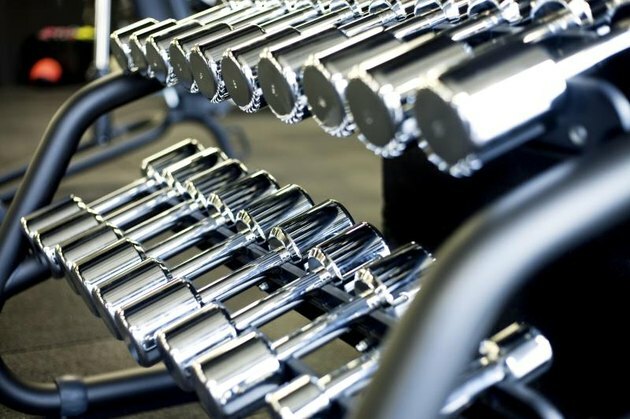 You might need to start with dumbbells and work up to an empty bar and add plates as you gain strength. 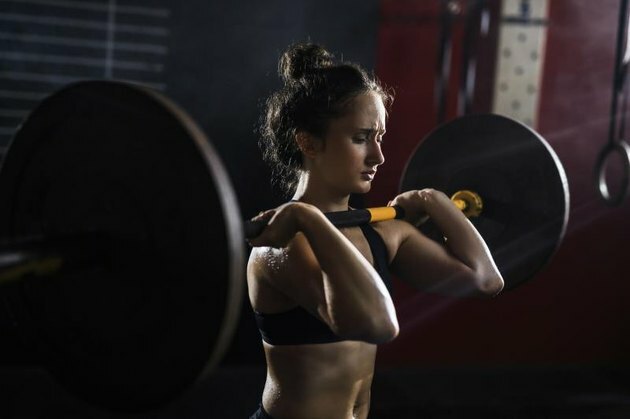 Read More: Do Deadlifts and Overhead Presses Work All the Muscles?